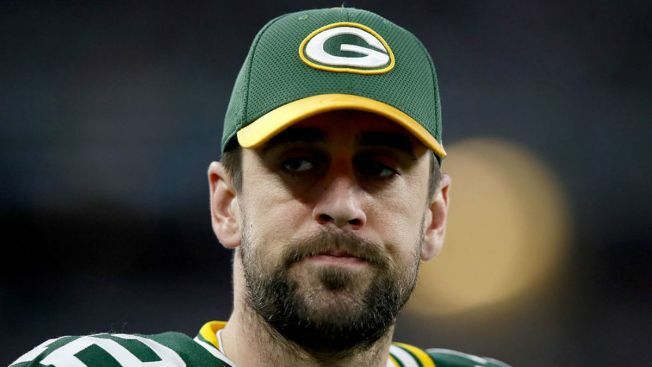 Aaron Rodgers’ rift with his family has been making headlines since his brother’s appearance on “The Bachelorette” last year, but little has been said about the unusual family dynamic from Rodgers’ father – until now. In an interview with the New York Times, Ed Rodgers said the family is still learning how to deal with the star quarterback’s rise to fame. The Rodgers family patriarch confirmed in the interview that the family hasn’t spoken to Aaron Rodgers since the end of 2014, a short time after the Green Bay Packers star first began dating actress Olivia Munn. Jordan Rodgers first revealed his troubled relationship with his brother on the dating show in July, saying he and his brother Luke don’t speak to Aaron. "It's something we don't really talk about a whole lot," Luke Rodgers told ‘Bachelorette’ JoJo Fletcher. "It pains both of us like not to have that relationship. We miss our brother." It was an issue that lingered heavily over the “hometown date” episode, with two empty chairs sitting at the Rodgers’ family dinner table, presumably for Aaron and Munn. "I miss my brother a lot, especially in moments like this because my family means so much," Jordan said in the episode. At the time, Aaron Rodgers declined to talk about the family dynamic publicly. "As far as those kinds of things go, I've always found that it's a little inappropriate to talk publicly about some family matters, so I'm just--I'm not going to speak on those things," he said. Ed Rodgers told the Times that while "airing public laundry is not what I would have chosen,” he wasn’t upset that it happened. “It’s good to have it all come out,” he said. It’s a sentiment echoed by Jordan Rodgers as well, as he told E! News in an exclusive interview that he hadn’t seen “The Bachelorette” before he became a contestant and wasn’t sure what to expect.